What a disappointing start this was! On 1994 we received the first goal from Argentina at 2’ (Batistuta). On 2010 Nigeria took the lead at 16’ (Uche). I was really hoping we have learned from our mistakes but I was wrong. Our team managed to receive a cheap goal after only 5 minutes in the first time the players of Colombia came close to our area. I am now convinced that there is some kind of a curse that holds since 1994. There are no excuses for the poor performance. The early cheap goal at 5’ was the least of our problems. Most of our players looked like they were not aware they were playing in the World Cup. I have no idea what happened but this WAS NOT the team that I know. The fighting spirit we are so famous for was not there. We compromised with the defeat as soon as that first goal was scored. Colombia has better players than Greece and we were all aware of that. However we were all counting on our teamwork and determination that got us in Brazil. What happened to the passionate team that killed Romania in both knockout matches remains a mystery. I cannot lie. I turned off my TV after only 30 minutes. Why? I could not stand the torture of watching 11 scared players. My overall impression was that Colombia did have defensive weaknesses. You do not have to be a coach or an expert to see that. 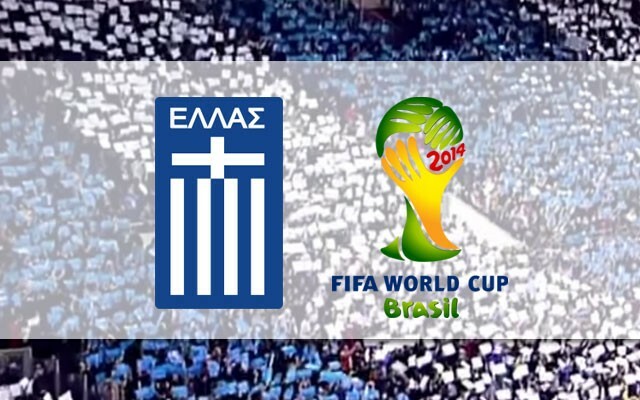 Those weaknesses allowed the worst Greece I have seen in years to take 12 shots (7 of them were on goal). When you do not score at least once with these stats you have no right to say the final score was not fair; period. If we were any luckier we could have a better margin like 2-0 or maybe 2-1 at best. Colombia DESERVED to win anyway. They had more passion and, without even reaching their 100%, they boosted their confidence for their next matches. They happily accepted our gift and Mr. Santos should thank them for the slap they gave us in return. Maybe it will be enough to wake up the team before it is too late.